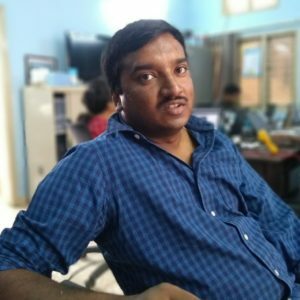 Ashwin runs an open source hardware company called ProtoCentral in Bangalore, India where we develop and make new ways of sensing, primarily in the healthcare space. I have a BS-MS integrated degree in software engineering, but my heart being in Hardware, went on to earn an MS in Microelectronics-Photonics from the University of Arkansas. We have successfully launched and delivered two campaigns on Crowd Supply, the HealthyPi and the HeartyPatch devices. I have given talks before at the Open source hardware summit 2016 in Portland and the Hackaday Superconference 2017 at Pasadena. 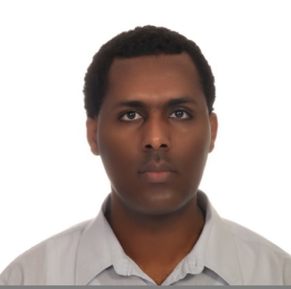 Dr. Dawit Assefa Haile is currently an Assistant Professor and Chair of the Biomedical Computing Division at the Center of Biomedical Engineering, Addis Ababa Institute of Technology, Addis Ababa University. His major research interests include signal and image analysis, color image processing, medical image analysis, scientific computing, optimization, and bioinformatics. Muhammad A. Rushdi received B.Sc. (2001) and M.Sc. (2005) degrees in Biomedical Engineering and Systems and a B.Sc. degree in Mathematics (2003) from Cairo University in Egypt. He received M.Sc. (2012) and Ph.D. (2013) degrees in Computer and Information Science and Engineering from the University of Florida at Gainesville, FL, USA. He is currently an assistant professor of biomedical engineering at Cairo University. His main research interests are biomedical signal processing, medical imaging, machine learning, computer vision, and applied mathematics. Kamau has worked in different industries and University Hospital as a technician for 6years. 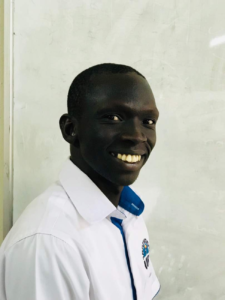 He has been working at Kenyatta University as a Training Technician to Electrical Engineering and Biomedical Engineering Students on practical during course and projects for the last 5 ½ years.He attended 2013 and 2017 biomedical summer schools as a volunteer in planning and offering technical support. 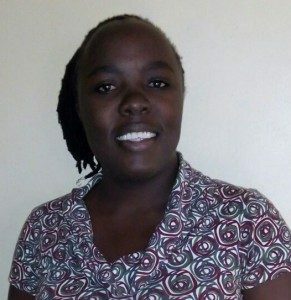 June Madete is a Biomedical engineer specializing in biomechanics, a researcher and senior lecturer at Kenyatta University with special interest and expertise in collections, analysis and interpretation of gait data using various motion analysis software and hardware. Her previous research involved combination of this technique with animal research in the field of euro science, video fluoroscopy, x-ray and CT data. In 2011-2012 , she did a study that looked at a specific group of patients who underwent total knee replacement, the study aimed at understanding the relationship between surgical accuracy and joint function. Much of her research is intimately linked to Biomechanics of the lower limb. She seeks to develop biomechanics within Kenya through knowledge and skill transfer with students, lectures and scientists across various sets of expertise. Dr Atwine Daniel is a dedicated African biomedical researcher that has been involved in Tuberculosis/HIV and Malaria International Clinical trials, diagnostic and Operational studies sponsored by EDCTP, MSF-France, St. George’s University of London, INTERTB, MRC and ANRS since joining MSF-Epicentre in 2007. As an alumni, has kept strong roots with in Mbarara University of Science and Technology (MUST) were he did his Bachelors in Medicine and Surgery.He has expertise in Epidemiology, Biostatistics, Infection control, Research initiation and management, Epidemiological programming and Data-analysis, research uptake, and evaluation, Clinical trial initiation/management, Science communication and Health Service Management and evaluation. Edwin Andione Khundi is a head of engineering Department and Biomedical Engineering Lecturer at Malawi University of Science and Technology. He is a specialist is software development, design of device and rehabilitation of gait using motion capture system. 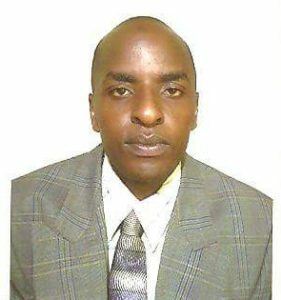 He is also currently studying his PhD at University of Strathclyde in KU. His research is focused on the design of auto-tuned adaptor for alignment of below knee prosthetic limbs. Professor Heikki Terio is working at Karolinska Institute, in the division of Functional Imaging and Technology, part of the Department of Clinical Science, Intervention and Technology (CLINTEC). 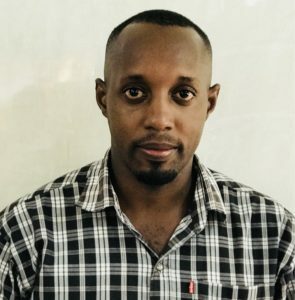 He has a long experience in needed assessment for low resources settings as a clinical engineer, and he focused on the process for achieving a sustainable healthcare guaranteeing patients safety through a large use of medical information data systems. 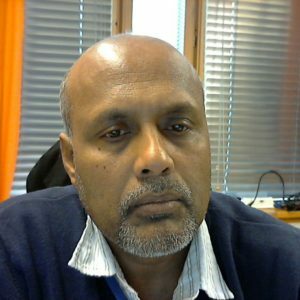 Mannan Mridha develops e-Health and e-Learning solutions to empower the disadvantaged groups in the developing countries. Our long-term goal is to develop better diagnostic methods for healthcare which shall be available to more patients. With more advanced technical solutions and methods it shall be easier for doctors to make a diagnosis, even for doctors without a long experience in the field. Ms. Philippa Ngaju Makobore is an Electrical Engineer and is currently the Department Head of the Instrumentation Division at the Uganda Industrial Research Institute (UIRI). She graduated from the Faculty of Engineering at the University of Alberta in Edmonton, Alberta, Canada with a BSc in Electrical Engineering in 2008. She briefly worked at a South African telecommunications company, MTN from 2009 to 2010 as an intern telecommunications engineer and thereafter sales engineer before venturing into electronics applications design and development at UIRI in early 2011. 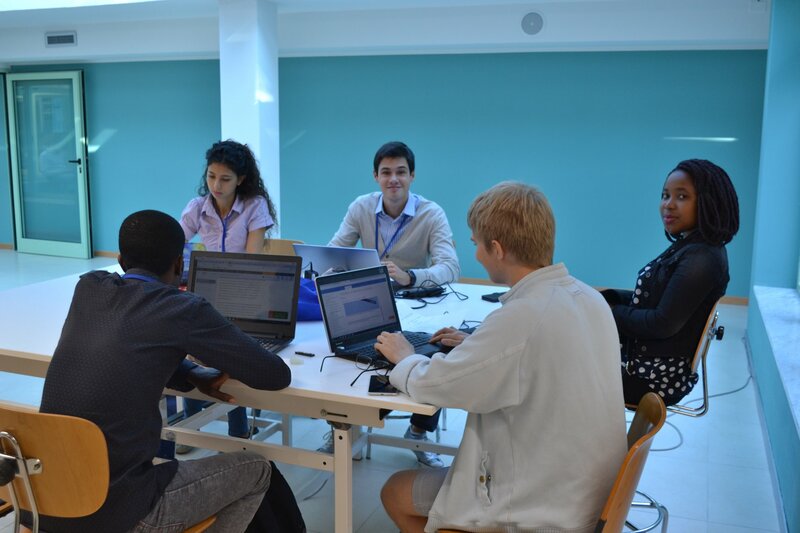 Her team comprises of electrical and computer engineers that design and develop electronic applications for Healthcare, Agriculture and Energy. To date the Division’s portfolio has over 7 projects which she supervises, with 3 medical device prototypes in their advanced stages. These projects have won both international and local awards including a 1st place Innovation Award at the 2016 World Patient Safety, Science and Technology Summit. The Division has a 100% acceptance rate for oral presentations at highly regarded Medical Engineering Conferences including the Canadian Biomedical and Medical Engineering Conference, the IEEE and the World Congress for Biomedical Engineering and Medical Physics of which she was once a session chair for the Medical Devices track. Furthermore, Ms. Makobore has laid the foundation for close relationships with academia, research institutes, private companies and societies both locally and internationally for knowledge transfer and capacity building. 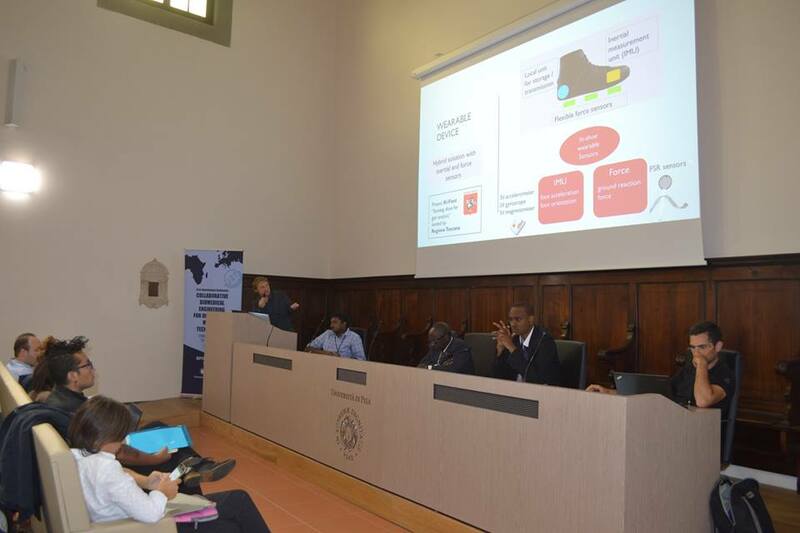 A few of these partners include Columbia University in New York, Addis Ababa University, Makerere University and Mbarara University of Science and Technology. Ms. Makobore’s primary interest is in the improvement of the disadvantaged healthcare sector in Uganda. 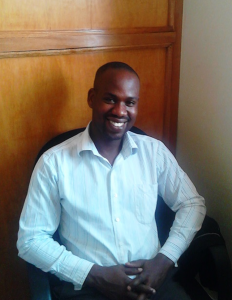 Mathew Ocheng is the lead Hardware Design Engineer at Uganda Industrial Research Institute. He holds a BSc. Degree in Electrical Engineering from Makerere University. He has 5 years of experience in Embedded System Application Design, circuit design, analysis, and production of printed circuits boards (PCBs). His research interest is in design of affordable medical devices for low resource settings. 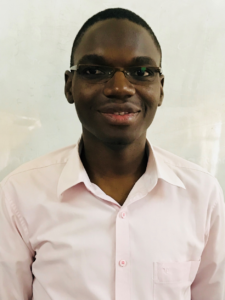 Paul Niyitanga is an hardware design engineer specializing in the design and development of embedded systems. Lately I have been focusing on designing and developing devices and equipment for the healthcare sector of Uganda. My research topic is development of an affordable and context appropriate infusion device for Uganda. 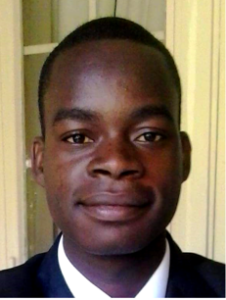 Hudson Kagoda is a mechatronic Engineer with Uganda Industrial Research Institute. He holds a multidisciplinary BSc. degree in Mechatronic engineering from the Asia Pacific University, Malaysia. 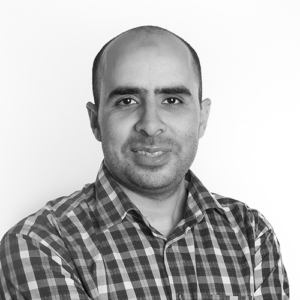 Hudson has vast experience in circuit design, simulations and prototyping, CAD, CAM and DSP. He is currently working on design of Health technologies for resource limited settings. 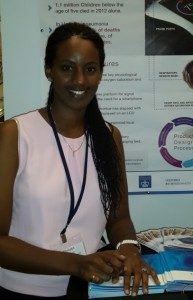 Mulerwa Martha is a Biomedical Engineer with Uganda Industrial Research Institute where she specializes in research, hardware design, 3D design, systems requirements analysis, materials identification and analysis. She has vast experience in medical device design and innovation. She has offered support to team developing an Electronically Controlled Gravity feed Infusion set (ECGF),a low cost infusion controller that regulates intravenous fluids and drugs, she has also co-designed a Transport Infant Warmer for the UBORA project (Euro-Africa Open Biomedical e-platform for Innovation through Education) funded by the European Union. She has also provided technical support to start up medical technologies from incubators on systems requirements, concept development and testing. She holds a Bachelor’s degree in Biomedical Engineering from Makerere University. 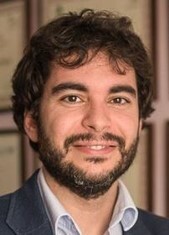 Andres Díaz Lantada is PhD in Industrial Engineering and works as Associate Professor in the Mechanical Engineering Department of Universidad Politécnica de Madrid. He leads the UPM “Product Development Lab” and is focused on the development of innovative biomedical devices with enhanced capabilities thanks to the incorporation of special geometries by means of additive manufacturing strategies and to the employment of smart materials. Reinventing biomedical engineering following open-source and collaborative design methodologies and via educational innovation is his main current research topic. 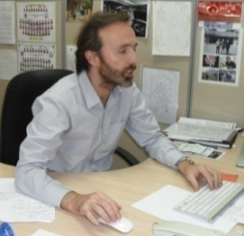 Juan Manuel Muñoz Guijosa is PhD in Industrial Engineering and works as Associate Professor in the Mechanical Engineering Department of Universidad Politécnica de Madrid. His research activities are linked to several fields of Mechanical Engineering, including vibrations theory, composite materials, microsystem technology and systematic product development. After his award-winning PhD he was visiting researcher at MIT and worked four years for Bosch GmbH linked to the automotive industry. Since his reincorporation to UPM he has been linked to subjects on “Mechanism and Machine Theory”, “Vibrations Theory”, “Engineering Design”, among others, and participated in several research projects. More recently he has been visiting research professor at the Technical University of Tokio and at Drexel University. He is very active in the field of project-based learning and leads UPM’s “Composites and Nanocomposites Lab”. 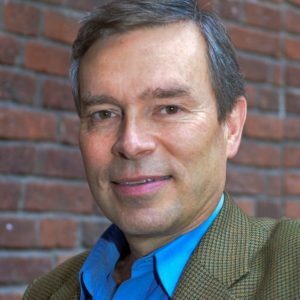 Luis Ballesteros-Sanchez is an industrial engineer and PhD from the Universidad Politécnica de Madrid, and holds a Master’s degree in the psychology of human behavior. He is Assistant Professor of Engineering Projects at this university. Luis is executive coach and a member of the Project Management and Quality Research Group. The research fields of interest to him are the development of project management personal competences, such as leadership and communication that applied to project success. 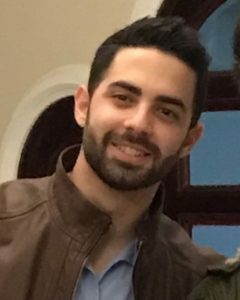 Currently studying last year of mechanical engineering at Politecnica de Madrid University.Since 2017 I joined into Machines Engineering Division of Politecnica de Madrid University as a researcher in 3D printing techniques studies and biomedical devices design. In September 2018 I will start mechanical engineer master studies in Politecnica de Madrid University. developing prototypes of prosthesis and splints for different articulations, using CAD software like Siemens NX or Catia V5. experience using Part Design, Assembly Design, Generative Shape Design, DMU Kinematics modules and Reverse engineering. In the last months and with his partner Adrián Martinez Cendrero, he is working in the manufacture of low-cost devices. Studying new techniques that allow to expand the range of manufacturing materials and the quality of them, taking into account that it is necessary that both manufacturing methods and devices, meet international standards to ensure safety, quality and performance of medical devices. Akinniyi Osuntoki was the Acting Head of the Department of Biomedical Engineering, College of Medicine, University of Lagos (2012-2014). He is an Associate Professor of Biochemistry. As acting departmental Head, he built a multidisciplinary team of engineers, clinicians, medical scientists and others to run a postgraduate degree programme. He currently serves as the Site Principal Investigator for the NIH/FIC D43 grant “Developing Innovative Interdisciplinary Biomedical Engineering Programs in Africa” and is a co-investigator on the NIH/FIC-funded Medical Education Partnership Initiative in Nigeria (MEPIN 2) grant “ Building Research And Innovation in Nigeria’s Science (BRAINS) which has Biomedical Engineering as one of the focus research areas. 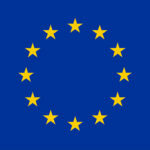 Associate professor in Bioengineering and vice director of the Degree in Biomedical Engineering at University of Pisa. His research interests span from Biofabrication, to mechanical characterisation of biological materials to Systems Biology. These scientific activities are demonstrated by more then 120 papers on International journal with high IF (h-index=27), 11 chapters on book and 21 patents. He is member of the Directors board of the International Society for Biofabrication, member of IEEE and of the Italian National Group of Bioengineering. Paolo De Simone is associate professor of surgery at the University of Pisa and director of the Hepatobiliary surgery and liver transplantation Unit at the University of Pisa Medical School Hospital. 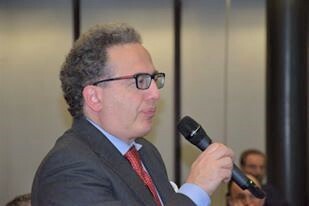 He is a graduate form La Sapienza University of Rome and current President of the Italian Society for Safety and Quality in Transplantation, Director of the Digestive surgery residency program at the University of Pisa and President of the Master course for Nursing coordination of tissue and organ donation and transplantation. Luigi Landini he is Professor of Biomedical Engineering at University of Pisa where he teaches biomedical signal and image processing at Biomedical Engineering degree. 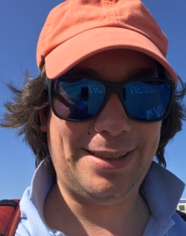 He is currently scientific coordinator of medical imaging projects at the Fondazione Gabriele Monasterio in Pisa and he is engaged in research on biomedical signal and image processing. He is author of more than 400 publications on modeling and analysis of biomedical signal and images. 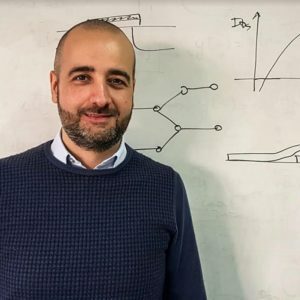 Gianluca Fiori is Associate Professor at Universita` di Pisa, Pisa, Italy, where he studies transport properties of nanomaterials, while designing new device concepts for electronic applications. 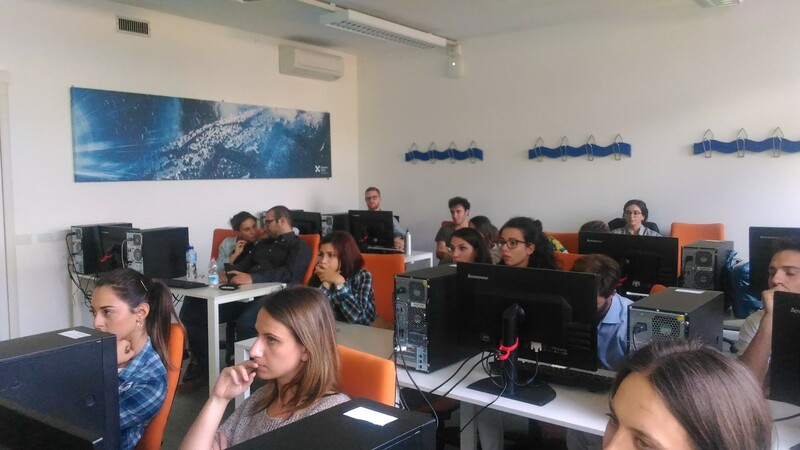 In autumn 2002, he visited Silvaco International, developing quantum models, which are currently implemented in the commercial simulator Atlas by Silvaco. In 2004, 2005, and 2008, he visited Purdue University, West Lafayette, IN, USA, where he worked on models for the simulation of transport in nanoscaled devices. G.F. is the leading developer of the open-source code NanoTCAD ViDES (http://vides.nanotcad.com). More information available at http://gianlucafiori.org . 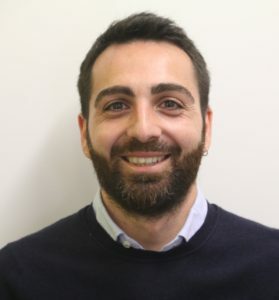 Carmelo De Maria is an assistant professor of bioengineering in the Department of Ingegneria dell’Informazione and affiliated with the Research Research Center “E. Piaggio” of University of Pisa. 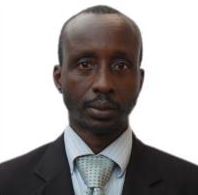 He is a guest professor in bioengineering at Addis Ababa University, and member of the African Biomedical Engineering Consortium secretariat. His research interests are on additive manufacturing/rapid prototyping technologies, with a particular focus on biofabrication. 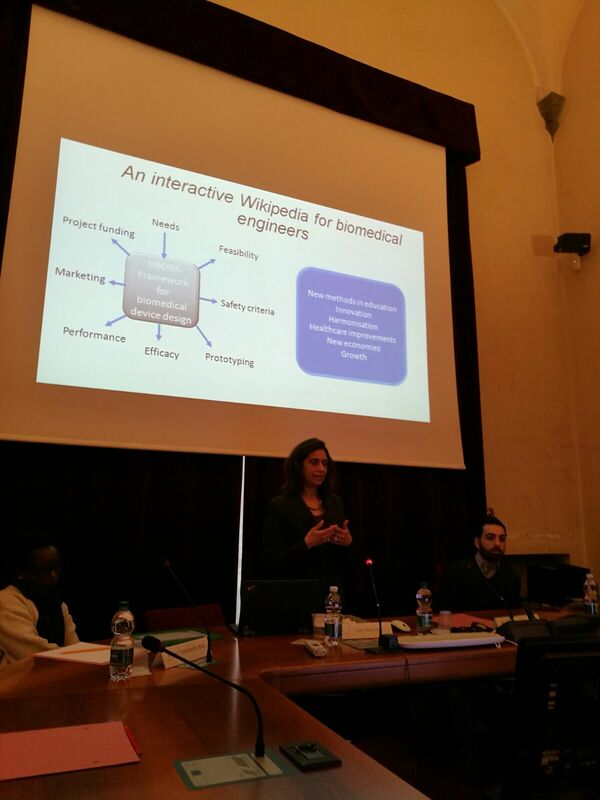 Licia Di Pietro is currently a PhD Biomedical Engineering Student at Research Centre E. Piaggio of University of Pisa, Italy. She received the Bachelor and Master Degree in Biomedical Engineering from University of Pisa, Italy, in 2014 and 2017, respectively. In 2016 she has enrolled an Erasmus for Traineeship program at Hilditch Group at Malmesbury, England, working on her Master Thesis project entitled “Different approaches to improve healthcare in Africa through Biomedical Engineering”. During this period, she spent one month in Kampala, Uganda, working as volunteer with Amalthea Trust Foundation, to help provide for the sustainable maintenance of medical equipment through the provision of training programs for the recipients, including test equipment and workshop facilities. Her research interest includes Global Health with particular attention to developing countries. She is working on manufacturing of open-source and low cost medical devices, compliant with the International standards to assure the safety, quality and performance of medical devices. 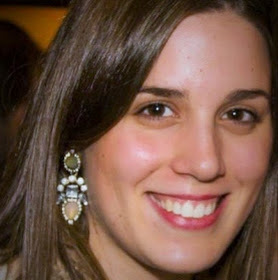 Roberta received her master degree in Biomedical Engineering at Politecnico of Milan in 2015. In 2016 she joined the PhD program of the Information Engineering Department (University of Pisa), working at the “E. Piaggio Research Centre”. Her research is mainly focused on engineering a dynamic model of the alveolar barrier and on the integration of sensors in this system for real-time monitoring of cell culture. The system consists of an air-liquid interface bioreactor able to reproduce lung muscle stretching, allowing the study of interaction between inhaled particles and lung epithelial cells. 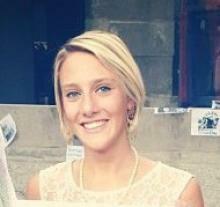 Anna Lapomarda is a PhD student at the Research Center ‘E. Piaggio’ of University of Pisa. In 2017 she graduated in Biomedical Engineering at University of Pisa. In 2016 she worked on the master thesis at the ‘Biomaterials Science and Technology’ (BST) group of University of Twente (The Netherlands) and at the AO Foundation (Switzerland). She focused on the synthesis of biopolymers and on the biofabrication of biodegradable scaffolds for bone tissue regeneration. She is currently working on developing sensorized four-dimensional (4D) scaffolds by using natural biomaterials in order to mimic physiological processes in vitro. 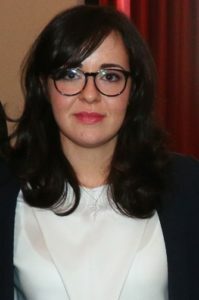 In 2014 Joana Costa graduated in Bioengineering (MIB) with the specialization in Molecular Biotechnology, from the University of Porto, Portugal. From 2015-2018 she was part of the Marie Skłodowska-Curie Actions ITN “MICACT” to work on the integration of the EAP (Electroactive Polymers) technology for tissue engineering applications. In this context, she did her PhD studies at the University of Pisa, in the research center ‘E. Piaggio’, while being a high-level apprentice at IVTech – a start-up company focused on the production of systems for the refinement of the in vitro models. 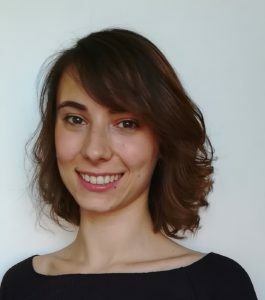 Joana is currently a research assistant at the research center ‘E.Piaggio’, working on the development of physiologically scaled devices for biomedical applications. She is a PhD in Robotics, Automation and Bioengineering, and research assistant at the Research Center “E. Piaggio”. Her research focuses on developing open-source algorithms for 3D morphometric extraction for better understanding the structure-function relationships within the brains at the micro-structural level. She is an expert digital imaging, image processing and statistical modelling. Cinzia Bernardeschi received the Laurea degree in Computer Science in 1987 and the PhD degree in 1996, both from the University of Pisa, Pisa, Italy. 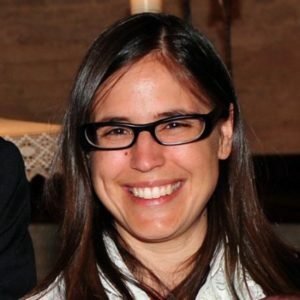 She is associate professor of Computer Science Foundations at the Department of Information Engineering , School of Engineering of the University of Pisa. Her main research interests are in the area of software engineering, dependable systems and application of formal methods for specification and verification of safety-critical systems. 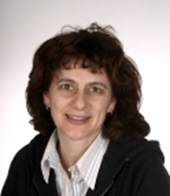 Recent work includes reliability and security issues of cyber physical systems.She is a member of the ERCIM Working Group on Formal Methods for Industrial Critical Systems (FMICS) and of the Cyber Security National Laboratory of the National Interuniversity Consortium for Informatics (CINI). Since 2017, she is member of the “Centro interdipartimentale di ricerca in Promozione della Salute e Information Technology” of Pisa (ProSIT). 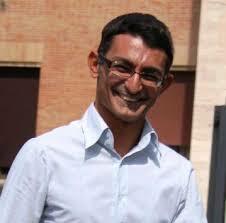 Maurizio Palmieri is a PhD student in Smart computing, a joint program by Universities of Florence, Pisa and Siena. His main research activity is on formal modeling, co-simulation, and verification of human-centered cyber-physical systems. 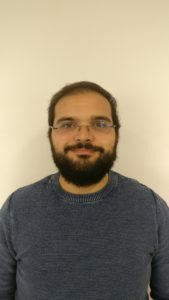 In particular, he is using PVSio-web prototype builder to develop and evaluate reverse-engineered models of the user interface for medical devices. Dr. Alice Ravizza, regulatory consultant and R&D reviewer for medical devices, expert in implementation of Good Manufacturing Procedure and Quality Management System (ISO13485). Dr. Ravizza is involved in several CE marking processes (bone graft with animal origin substance for dental applications for Nobil Bio Ricerche s.r.l. (class III); SW stand-alone medical device, for the storage and diagnosis of ECGs at Biotechware s.r.l (class IIa); SW for Brainer s.r.l. (class I)). 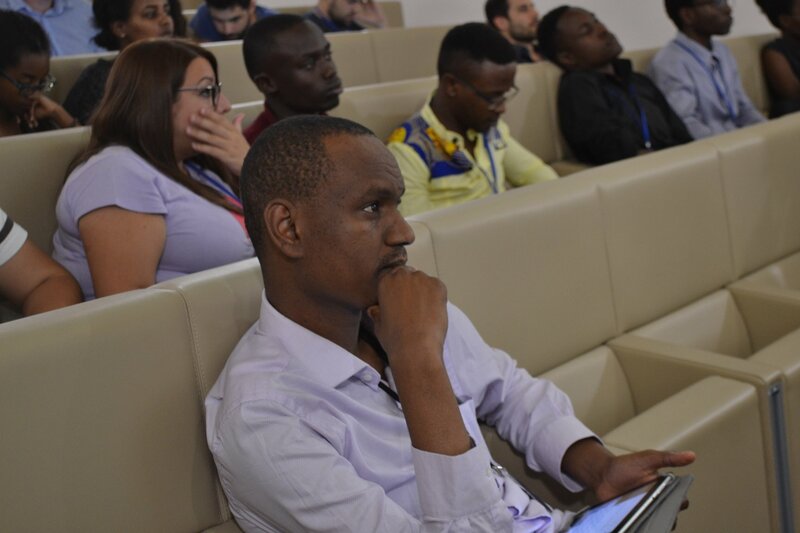 She holds courses on medical regulation for Universities and Technological Parks and will run sessions on biomedical device regulations at the summer schools. She will also be present at the SC telematics meetings. Janno Torop received his PhD from University of Tartu in 2012. 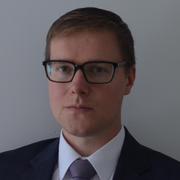 He has been developing smart electromechanical actuators in University of Tartu, Institute of Technology since 2006. 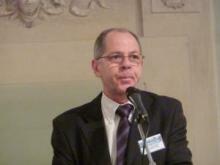 He is currently a research scientist of Institute of Technology, University of Tartu. In 2013 he joined as a postdoc researcher to Biosensors and Bioelectronics Centre in Linköping University, Sweden. His research interests are smart electromechanical polymeric actuators and energy conversion devices utilizing microporous carbons as active electrode material.